Community: MEPAG meetings are open to all members of the planetary exploration community, particularly those scientists, engineers, project and program personnel, theoreticians and experimentalists, instrument scientists, and modelers who are interested in Mars exploration. International participation is welcomed and solicited as appropriate, including reports of activities by the various space agencies. Procedure: The MEPAG maintains the Goals Document and conducts analysis activities on topics of relevance to Mars-related exploration. Analysis tasks may be requested by NASA, including its Mars Exploration Program (MEP), its Science and Human Exploration & Operations Mission Directorates (SMD, HEOMD), and its advisory committees, such as the Planetary Science Advisory Committee (PAC). Tasks may also be requested through NASA by committees of the National Academy of Sciences (NAS) Space Sciences Board. MEPAG may choose to organize Science Analysis Groups (SAGs) to deal with specific issues; these SAGs report their findings to the full community. Reports are formally approved by the MEPAG chair, after review by the MEPAG Executive Committee and typically after discussion in an open MEPAG forum. Findings are reported to the requestors and posted to the community on the MEPAG website, and status reports are routinely made to MEP and PAC. The MEPAG meets annually in an open meeting and as otherwise needed, including upon request by NASA. Between meetings, activities are handled by the MEPAG Chair, supported by the MEPAG Executive Committee. Organization: The Chair of the MEPAG is appointed by the MEPAG Executive Committee in consultation with NASA Headquarters. The MEPAG Executive Committee consists of the MEPAG Chair (lead), the previous MEPAG Chair, the MEP Lead Scientist, the Mars Program Office Chief Scientist, the Goals Committee Chair, and up to 5 additional members of the MEPAG community. The HEOMD Chief Scientist for Exploration is an ex officio member. The Goals Committee nominally has two members for each of the four goal areas, in addition to its Chair. Membership of the Executive and Goals Committees are solicited from the MEPAG community and determined by the Chair and Executive Committee. Logistical and organizational support to the MEPAG, including its analysis groups, is provided by SMD/MEP through the Mars Program Office, located at the Jet Propulsion Laboratory. 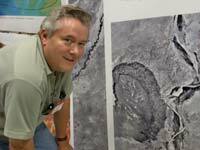 Jeffrey R. Johnson is a planetary geologist who uses remote sensing in visible through radar wavelengths to understand the compositional, mineralogical, and morphological variability of planetary surfaces. He participated in the Mars Pathfinder, Mars Global Surveyor, and Mars Polar Lander missions. He is currently a Participating Scientist on the Mars Exploration Rover and Mars Science Laboratory missions, and is a Co-Investigator on the Mastcam-Z and SuperCam instruments on the Mars 2020 rover. Don Banfield is an atmospheric scientist, studying the giant planets and Mars from both remote sensing and in situ perspectives. He has been associated with the Voyager flyby of Neptune, Galileo at Jupiter, and the MER Rovers. He was a Participating Scientist for Mars Polar Lander, and Mars Reconnaissance Orbiter, and is a Co-I on InSight. He is developing planetary instrumentation including a Martian sonic anemometer and a polarization nephelometer. 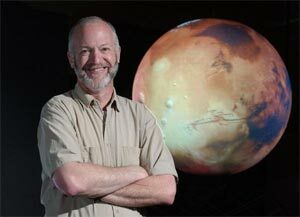 Dave Beaty is currently is the Chief Scientist for the JPL Mars Exploration Directorate. He has been the science manager for MEP’s Mars Program Office for more than a decade, and has been involved in the leadership of MEPAG since its origin. Jacob Bleacher’s research interest is the geologic development of planetary volcanic provinces and their subsequent modification and hazard potential through a combination of terrestrial field studies and spacecraft data analysis. He is currently combining his expertise in field and planetary geology to help build and test the science capabilities of NASA’s newest instrument, suit and rover technologies; and is supporting integrated science and technology field tests for human exploration such as NASA’s Desert Research And Technology Studies (Desert RATS), the Hawaiʻi Space Exploration Analog Simulation (HI-SEAS), and field campaigns for NASA’s Solar System Exploration Virtual Institute (SSERVI) team Remote, In Situ and Synchrotron Studies for Science and Exploration (RIS4E). 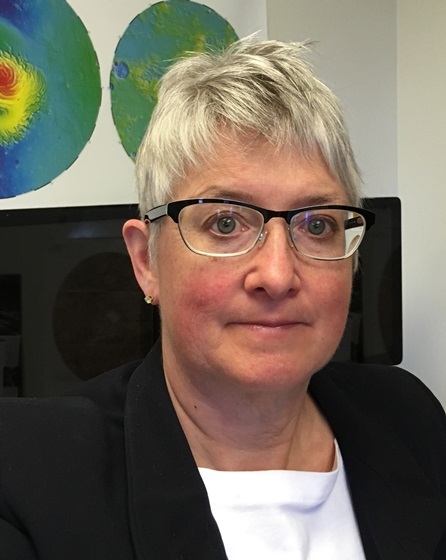 Wendy Calvin uses optical and infrared imagery and spectroscopy to identify and map the surface composition of solid planets in the solar system, including Earth. She focusses on alteration minerals and ices, using remote sensing, field, and laboratory analysis of planetary surfaces and terrestrial environments. She is on science teams for the Mars Exploration Rover Opportunity, and MARCI/CTX and CRISM instruments on MRO. Barbara Cohen's research interests include geochronology and geochemistry of planetary samples from the Moon, Mars and asteroids. She is a Principal Investigator on multiple NASA research projects, a member of the science teams operating the Mars rovers Opportunity and Curiosity, and the principal investigator for Lunar Flashlight, a lunar cubesat mission that will be launched in 2019 as an SLS secondary payload. She is the PI for the Mid-Atlantic Noble Gas Research Laboratory (MNGRL) and is developing a flight version of her noble-gas geochronology technique, the Potassium-Argon Laser Experiment (KArLE), for use on future planetary landers and rovers. 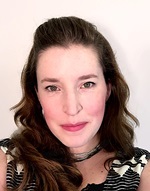 Jen Eigenbrode is an organic biogeochemist that studies the sources and preservation mechanisms of organic matter on Mars and uses Mars analog materials found on Earth to support her studies. She is a participating scientist on the Mars Science Laboratory (MSL) mission studying the effects of ionizing radiation on sedimentary organic matter and is also a collaborator on the Science Analysis at Mars (SAM) instrument suite on MSL. Justin Filiberto is a planetary petrologist and geochemist. His work crosses disciplines and planetary bodies by combining investigations of basalt formation using petrology, mineralogy, geochemistry, and geophysics in order to constrain crustal and mantle evolution in the inner Solar System. His work spans multiple planetary bodies – Mars, Venus, the Earth, and the Moon – and is revolutionizing our understanding of the volatile content of planetary interiors by investigating the igneous diversity of planetary magmas. Scott Hubbard's research interests include the study of both human and robotic exploration of space with a particular focus on technology and missions for planetary exploration, especially Mars. As part of his ongoing engagement with robotic Mars missions, Prof. Hubbard serves as a member of National Academy of Science review groups and as a frequent consultant to NASA projects. Michael Meyer is the lead scientist for NASA's Mars Exploration Program, at NASA Headquarters in Washington. 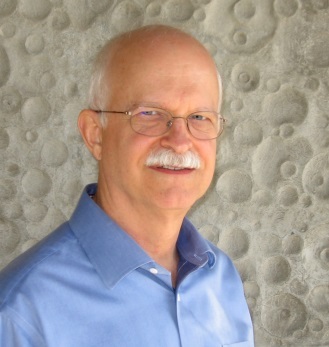 Dr. Paul B. Niles is a planetary geologist and analytical geochemist within the Astromaterials Research and Exploration Science (ARES) Division at the Johnson Space Center. He is mainly interested in interpreting the geologic conditions of past aqueous environments on Earth, Mars and meteorite parent bodies. He seeks to answer questions regarding the temperatures, time scales, nature of water-rock interaction and chemical characteristics of these ancient aqueous systems with the final goal of assessing their suitability for sustaining life. Niles researches these questions through high resolution chemical and stable isotopic measurements of secondary minerals using a variety of instruments including gas source isotope ratio mass spectrometry (IRMS). In addition, he uses laboratory experiments to simulate the ancient aqueous environments in order to better understand the complex micro-scale relationships found in the rock record. Rich Zurek is an atmospheric scientist and analyzed data returned by Mariner 9, the Viking Orbiters and Landers, and many of the current Mars operating missions. He currently is the Chief Scientist for the Mars Program Office at JPL and is the Project Scientist for the Mars Reconnaissance Orbiter (MRO). Sarah Stewart Johnson is an assistant professor of planetary science at Georgetown University, where her lab focuses on biosignature detection. She is currently investigating multiple Mars-relevant field sites, from silica sinters and acid salt lakes to ancient deposits in the Dry Valleys of Antarctica, all with distinctive features that offer insights into what aqueous environments may have been like on the Red Planet a few billion years ago. Jen Stern is a planetary geochemist specializing in stable isotopes and the cycling of nitrogen and carbon in planetary environments. 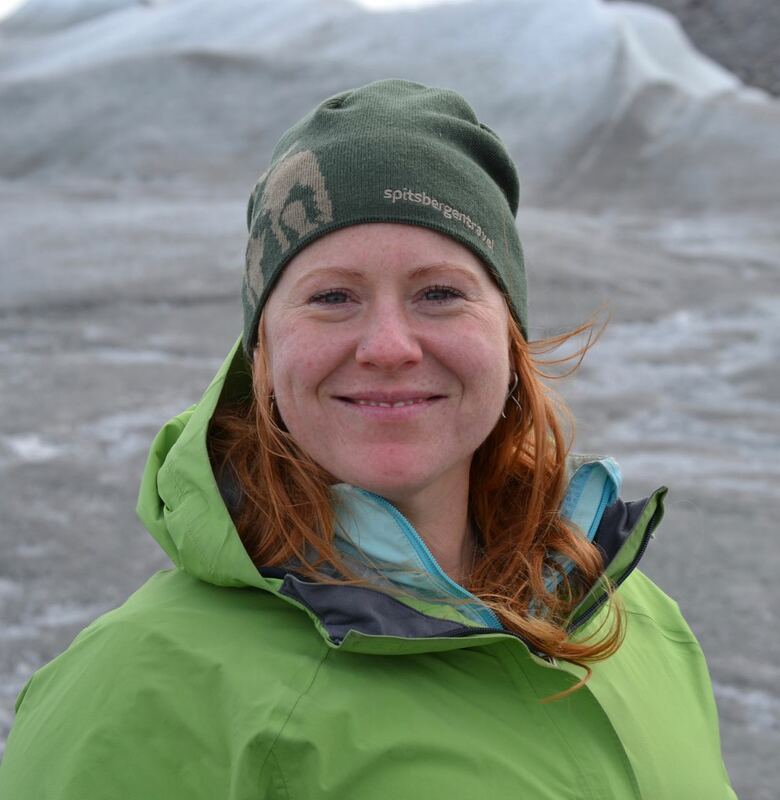 She is also actively involved in instrument development for geochemical measurements on planetary surfaces, and has participated in multiple field seasons at Arctic Mars analog sites. Jen is a member of the science team for the Mars Science Laboratory (MSL) Rover Curiosity and the Sample Analysis at Mars (SAM) Instrument Suite. 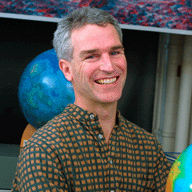 Robin Wordsworth is a planetary scientist specializing in the climates and atmospheric evolution of rocky planets. His current areas of interest include the climate of early Mars, evolution of the redox state and nitrogen inventory of the early Earth and Venus, and predictions of the atmospheric composition of rocky exoplanets. 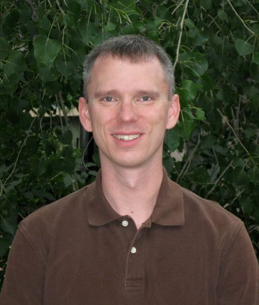 Dave Brain is a planetary scientist interested in the evolution of terrestrial planet atmospheres (including Mars). He specializes in measurements and models of processes that control charged particle and magnetic fields in planetary upper atmospheres, and their contribution to atmospheric escape. Dave is the Deputy PI of the MAVEN mission, and on the science team for the Emirates Mars Mission. Previously he has been involved with both Mars Global Surveyor and Mars Express. Briony Horgan is an assistant professor in the Department of Earth, Atmospheric, and Planetary Sciences at Purdue University. Her research program uses mineralogy derived from NASA satellites and rovers, along with lab and field work back on Earth, to understand the surface processes that have shaped Mars and the Moon. Briony is a Participating Scientist on NASA's Mars Science Laboratory rover mission and a Co-I on NASA’s upcoming Mars 2020 rover mission. R. Aileen Yingst is a planetary geologist, whose research focuses on the texture and morphology of rock outcrops and clasts. She is the Deputy Principal Investigator for the Mars Hand Lens Imager instrument (MAHLI) and is a science team member for the Mars Science Laboratory (MSL) imaging science team. She also is a Participating Scientist with the Mars Exploration Rovers (MER). Ryan Whitley is an aerospace engineer who constructs mission architectures to send humans into deep space. Most recently, Ryan has been involved in a number of key mission design studies related to the possible methods for the human exploration of Mars and the steps needed to build up the required spacecraft systems. Prior to this, he was a trajectory design engineer for Orion and derived algorithms to ensure optimal mission maneuver sequences for both in-space and pad abort trajectories. He works in the Exploration Mission Planning Office at NASA Johnson Space Center. 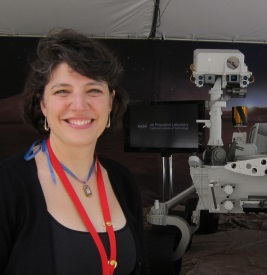 Lisa M. Pratt is a biogeochemist who studies life on Earth in extreme conditions and uses this information to guide astrobiological investigation of Mars. For example, she was Director of a NASA ASTEP project entitled ”Shallow-Borehole Array for Measuring Greenland Emission of Trace Gases as an Analogue for Methane on Mars (GETGAMM).” In 2018, she became the NASA Planetary Protection Officer. 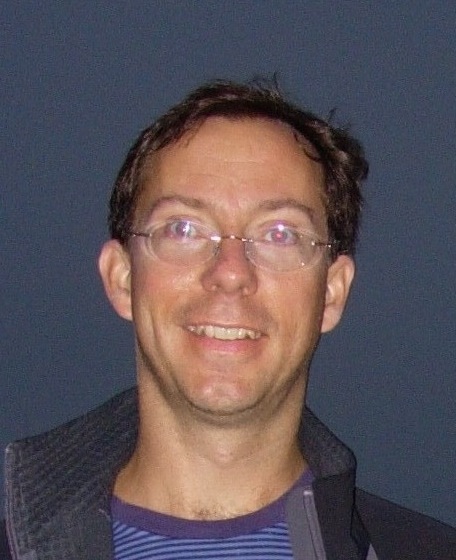 Dave De Marais has studied the geochemistry of the Moon, Earth, and Mars, specializing in isotope geochemistry and biogeochemistry/astrobiology. He is the principal investigator of the Ames Research Center team of the NASA Astrobiology Institute and is a member of the Mars Exploration Rover (MER) and Compact Reconnaissance Imaging Spectrometer for Mars (CRISM) science teams. John Mustard is a geologist focusing on the composition of planetary surfaces and the processes that modify them. He has studied the Earth and Mars, and his work has shown how dramatic shifts between environmental conditions are shown in the geologic record. 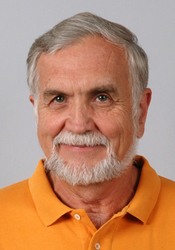 Ray Arvidson is a planetary geologist who has worked on the remote sensing of Earth, Mars, and Venus. He is also an expert in rover mobility and has been involved in most of the landed Mars Missions. Bruce Jakosky studies the geology of the Martian surface, the evolution of the Martian atmosphere and climate, the potential for life on Mars and elsewhere, and the philosophical and societal issues in astrobiology. Jack Farmer is a geobiologist focused on understanding the formation of microbial fossil records on the Earth and in detecting such a record on Mars. Ron Greeley had been involved with missions and studies of the Earth, Moon, Mars, and outer solar system moons since 1967. His research focused on understanding planetary surface processes and geologic histories.